A crack system with mostly solid rock. 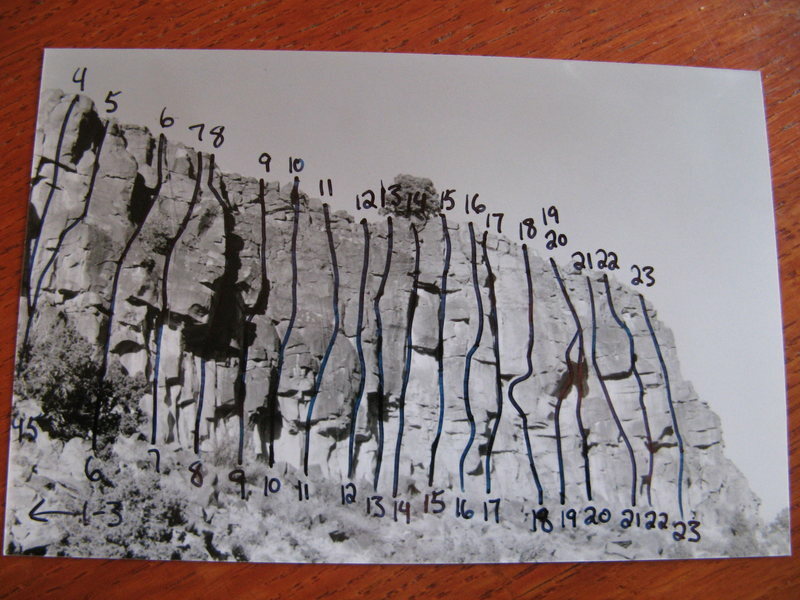 Attain the right side of a prominent ledge via either an off-width crack that splits two pillars, followed by a hand crack, or a partly-vegetated set of blocks and cracks to the left (shown at lower right of route #1.5 photo). The crux and the best climbing is up a finger crack in the middle of the cliff. Above that you have a choice of cracks to the top. This climb is also listed as Beverly #7 (5.10b/c) but is not in Jackson. TR can be set up with one static line to a juniper + gear.